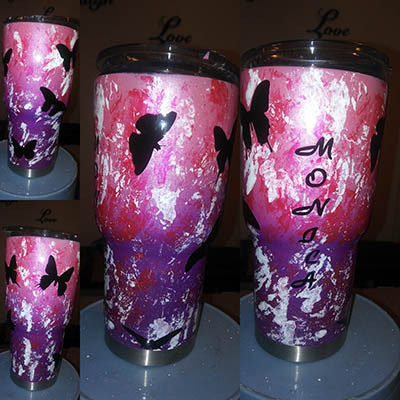 Custom painted tumbler cups. 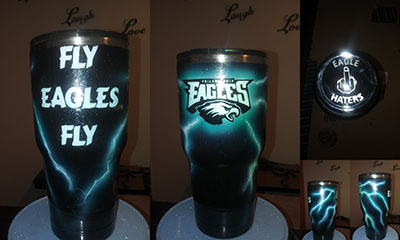 This one themed in Philadelphia Eagles on a YETI cup, RTIC cup or Ozark Trails cup. 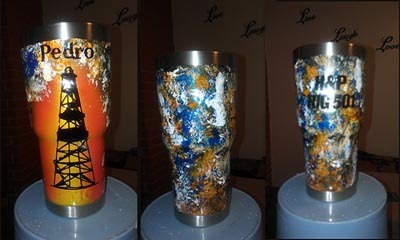 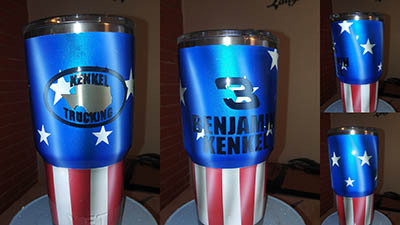 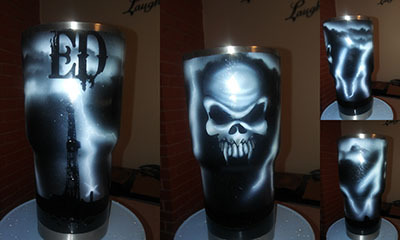 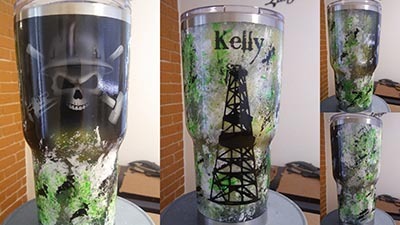 Custom painted tumbler cup with oilfield theme. 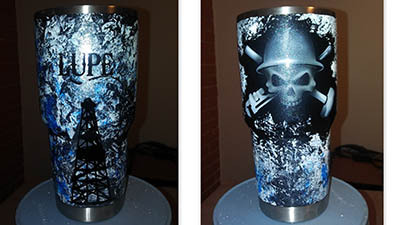 Oilfield storm on a YETI cup, RTIC cup or Ozark Trails cup. 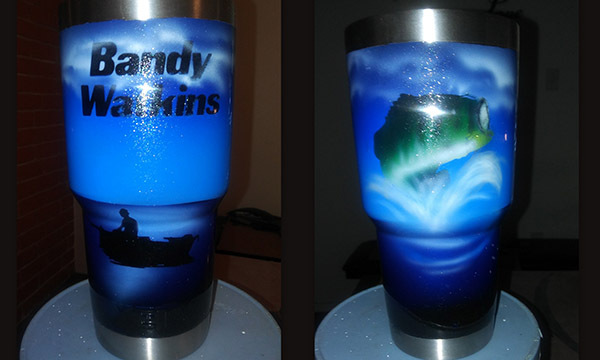 Custom painted YETI tumbler cup with bass fishing theme.